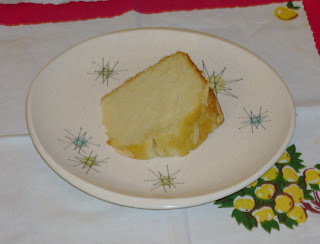 I will put my mum's pound cake against anyone elses. It's my favorite cake with coffee. It's not a dieter's delight - it's got a pound of butter, a pound of sugar - hence, its name. But it is outstanding. Yum. I'd love to try my hand at making some if you are inclined to share the recipe. I must confess - I've never made it for myself - I'm a big kid who waits until birthdays and such. If I remember to ask, I'll get it.